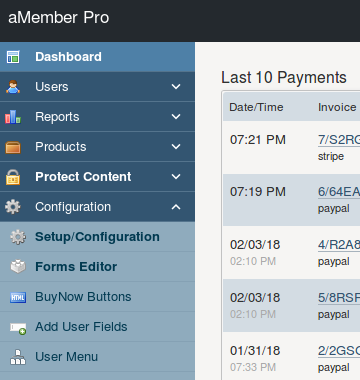 Accularian proudly uses aMember Membership Software. Hello. If you have arrived here from aMember.com, welcome. I have been using aMember since 2006 when I started Accularian. I know the software pretty well and have done a lot of customization of the front end in order to make my signup forms and user forms easier to use and beautiful. aMember is incredibly powerful, extremely rich and granular in it’s feature set and fairly easy to use, once you know how things work. That’s the trick… understanding the grammar of aMember! There is so much power in this software it can be a little daunting at first. So if you are just getting started or want some assistance administering your existing installation, let me know. I can help you with your aMember system. Just drop me an email and I will give you a call to discuss your needs and my availability. My hourly rate is $120.00 per hour and I do not charge for the initial consultation. I’d love to see what you are up to and how I might be able to partner with you.